Well, Steve called me in Santa Fe this evening from a not-so-comfortable situation in Gordon, Nebraska. After writing his post earlier in the day from Rushville, Nebraska, he set off eastward towards his destination of Gordon. His legs were very, very weary from the last two days of rigorous riding, the heat was in the 90s, and the decision to locate an air-conditioned motel room for the night became his overriding thought the rest of his ride. HOWEVER, upon arriving in Gordon he learned all too quickly that all motel rooms in town were taken due to a couple of weddings over the weekend. So…he was given permission to pitch his tent at the back of an RV park. 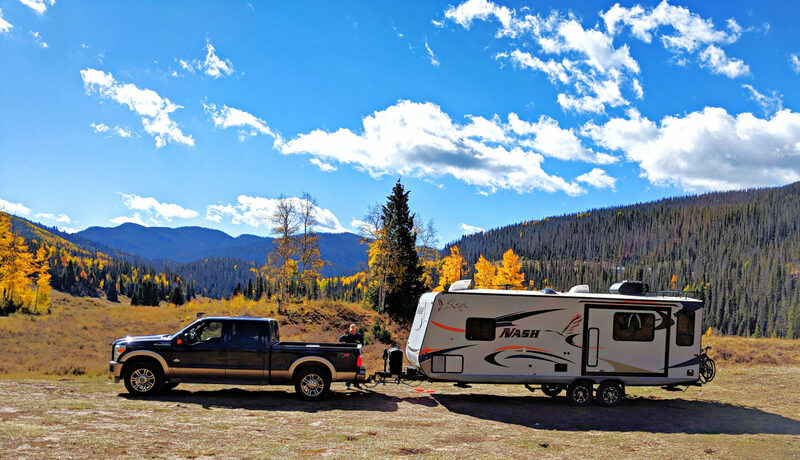 Unlike the days when camping meant virtually just tent camping and maybe pop-up campers and access to water, showers, and toilets were often part of the package, today’s camping means a fully self-contained RV complete with a shower, flush toilet, and air conditioner. Why would an RV park provide these amenities when most people now have them in the luxury of their own RVs? 🙂 This is where the questionable Happy Camper part comes in…. It’s 92 degrees in the shade, there are no flush toilets, no showers, and no water hook-up for a tent camper. Instead, the Happy Camper fills his few water bottles that accompany him on his bicycle, disrobes down to his bicycle shorts, takes a “bottle” bath out in the open, reaches for some Wet-Wipes for added freshening (back inside his tent), and air dries in the privacy of his little tent. Is this Happy Camper Steve?….by golly it is!! Fortunately, the Pump & Pantry down the street has a flush toilet. Unfortunately, it isn’t open all night. 🙁 I bet he’ll be their first customer tomorrow morning! I give my husband so much credit! What perseverance the guy has. After 29 years of marriage, I also appreciate the eternal optimist that he is…nothing seems to rattle his cage.